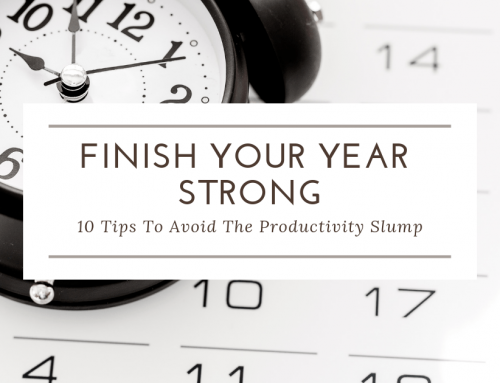 Unless you’ve been living the enviable unplugged life, I’m sure you’re aware of it by now. 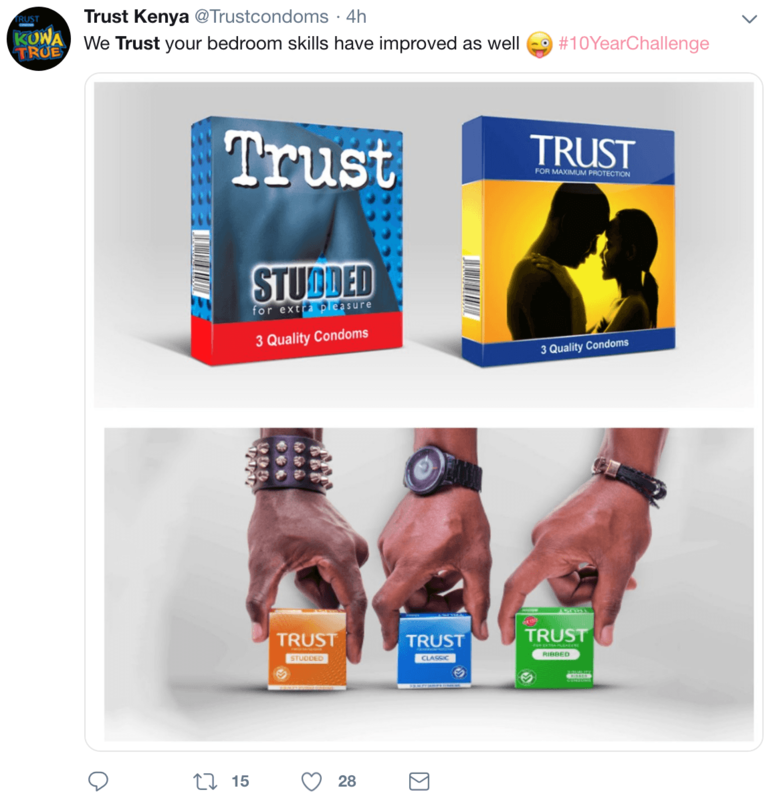 The latest social media trend since the #CinnamonChallenge, the #IceBucketChallenge and the #kikiChallenge – and do NOT get me started on the #TidePodChallenge (I refuse to even link to it)! 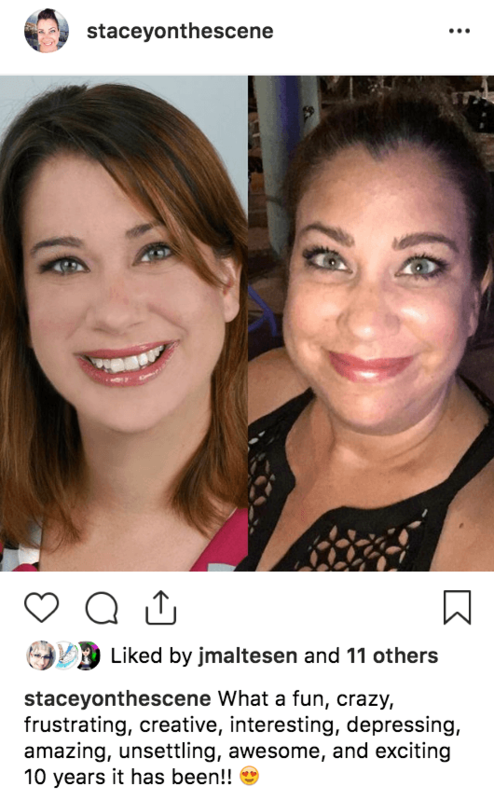 I’m talking about all of those posts from your friends, family and – most notably – your favourite brands, showing photos of themselves 10 years apart. 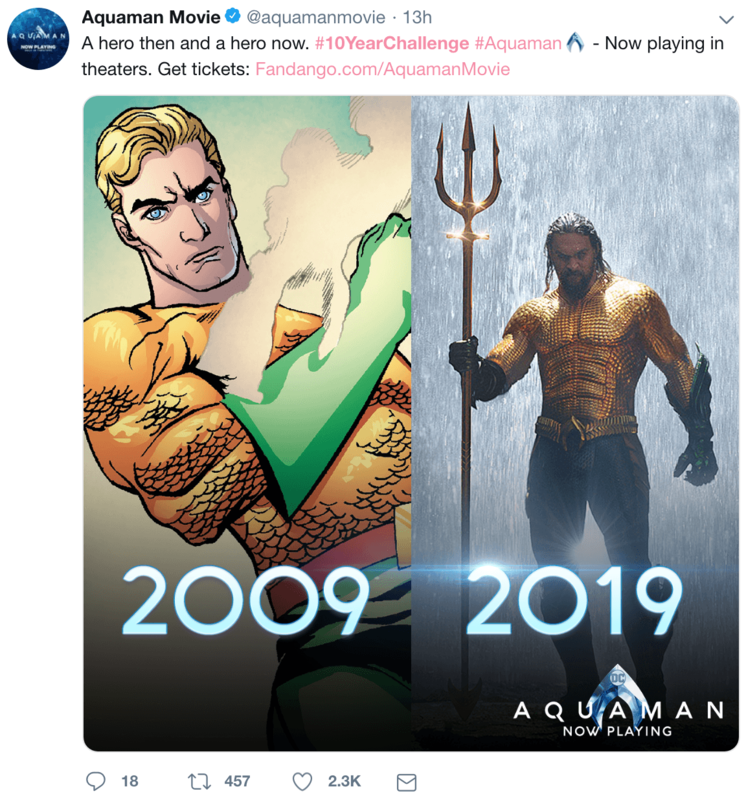 While it’s been fun to see who has aged well (and who hasn’t), it’s the brands, who have leveraged this viral social media trend, that grabbed my attention. 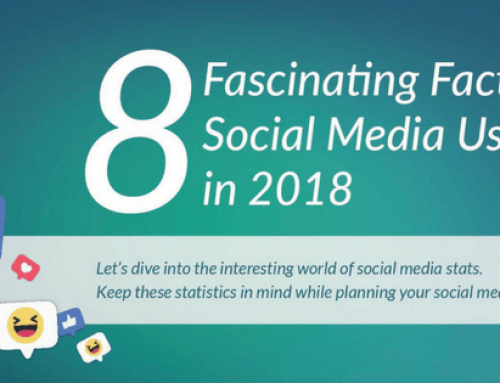 Smart marketers are taking advantage of the virality of these social media trends to help spread awareness of their clients’ brands. If it fits your brand, I think it’s a smart, strategic move. 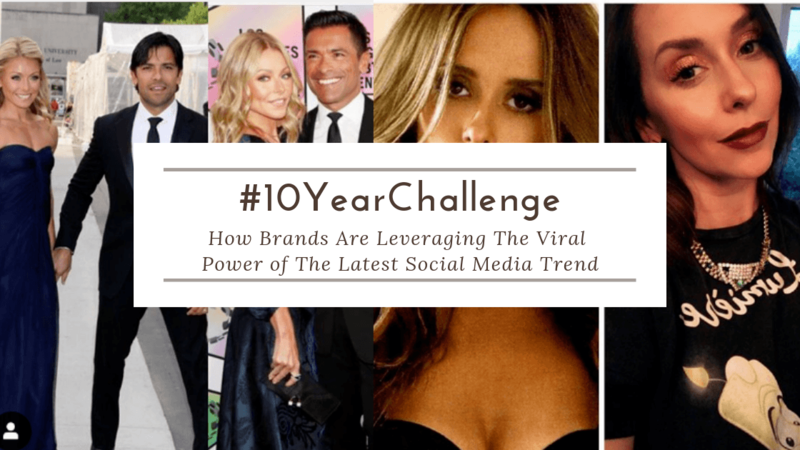 If you’re on the fence, you may want to consider taking part because, as you’ll see, the following brands are getting some serious attention because they jumped on the #Challenge bandwagon! Here are a list of some that are doing it right! Who remembers getting the DVDs in the mail?  Keeping up with technology, kept Netflix on top. This is a great contender for this challenge! 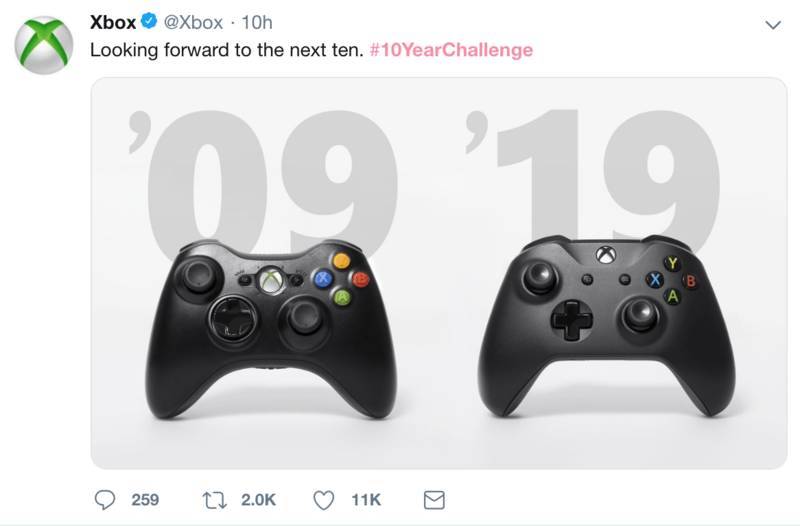 For the gamers in the room, this simple, nostalgic post from Xbox showcases their game controller now vs 10 years ago. 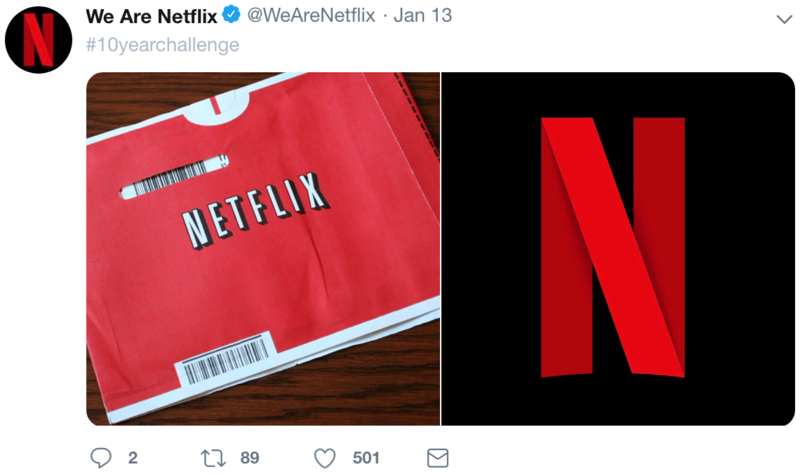 Although they have only been in business since 2015, they don’t technically qualify to take part in this challenge. 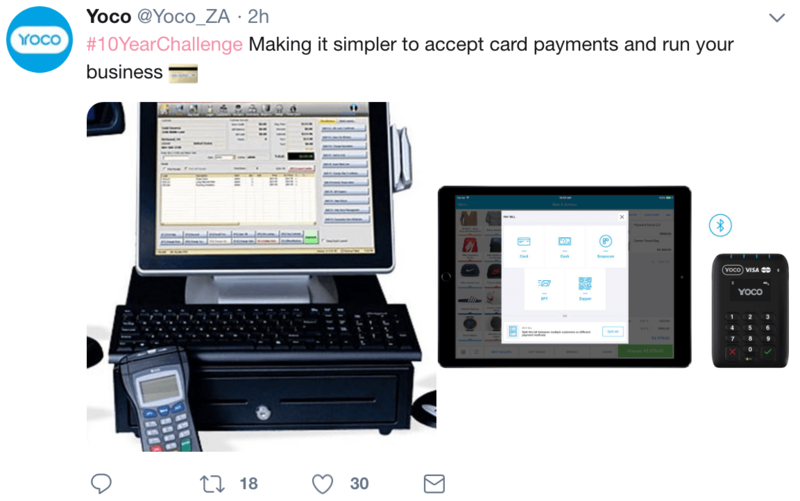 But Poco, a credit card processing solution software company from South Africa, doesn’t let that stop them from jumping on this social media trend. 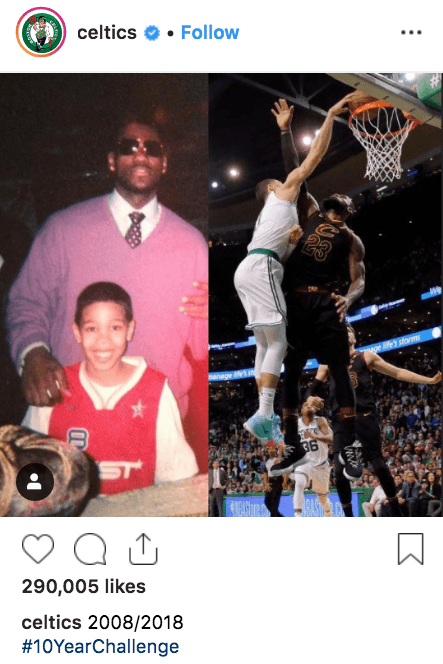 IMHO, the Celtics win this challenge when they brilliantly troll Lebron James with a pic of him with – then fan – Jayson Tatum alongside a pic of Jayson dunking on Lebron! 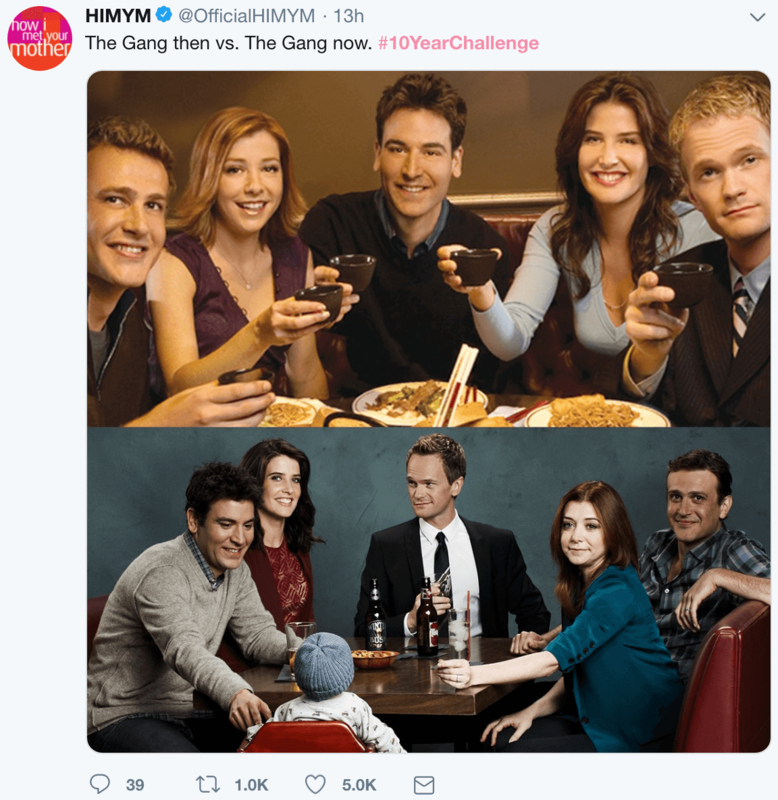 Using this social media trend as a fabulous way to stay relevant, How I Met Your Mother posted a “then and now” pic of the cast. 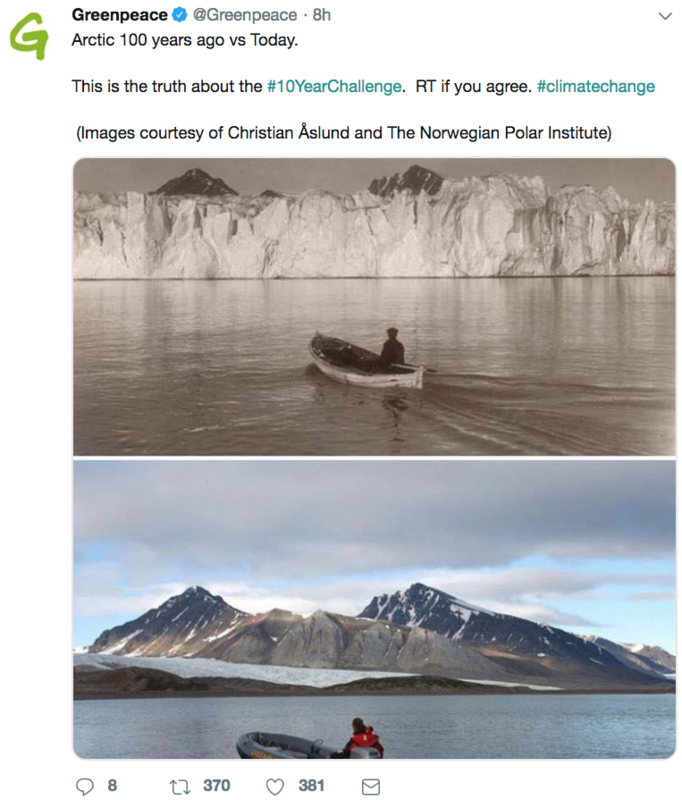 Although these pictures are technically 100 years apart, Greenpeace uses this powerful image to raise awareness of the effect of climate change on the once great glaciers in the arctic. 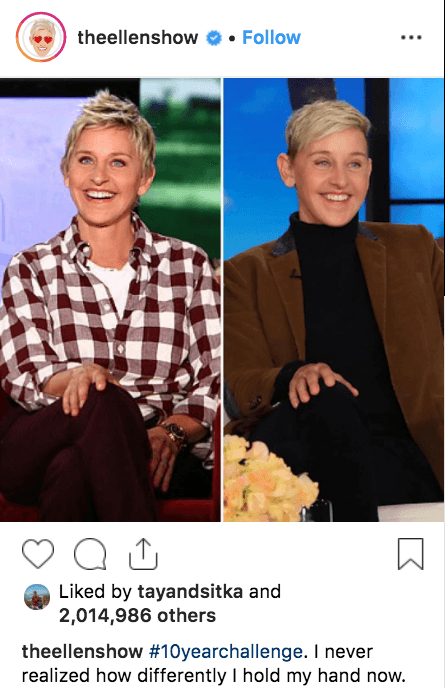 Who doesn’t love themself some Ellen? She’s always game to partake in a good social media trend! If you recall, she broke a Twitter record with her Oscar selfie in 2014. We get an 80’s twofer with this one. 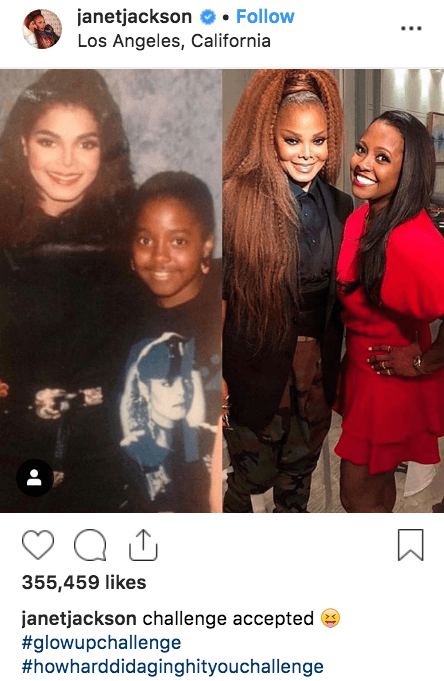 Pop diva, Miss Jackson, with “Rudy” from The Cosby Show. 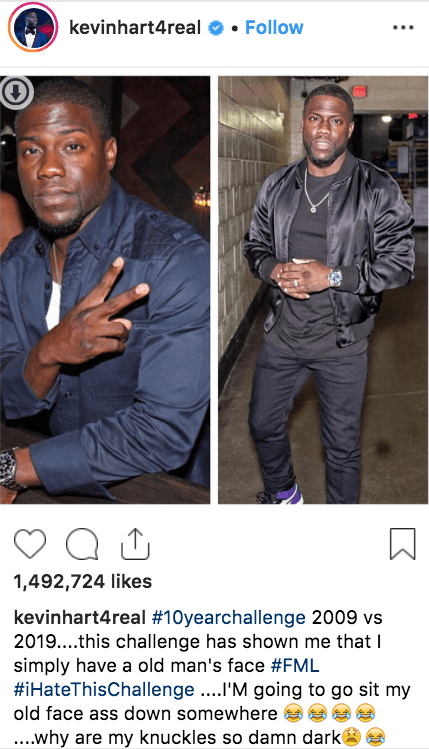 Kevin’s observation of his knuckly imperfections is hysterical. His Instagram account is a must-follow! Oh, come ON!! 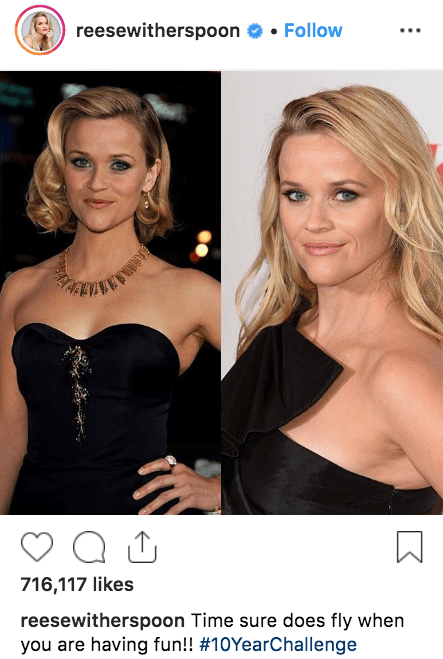 Here is another actor who is clearly paying off Father Time. 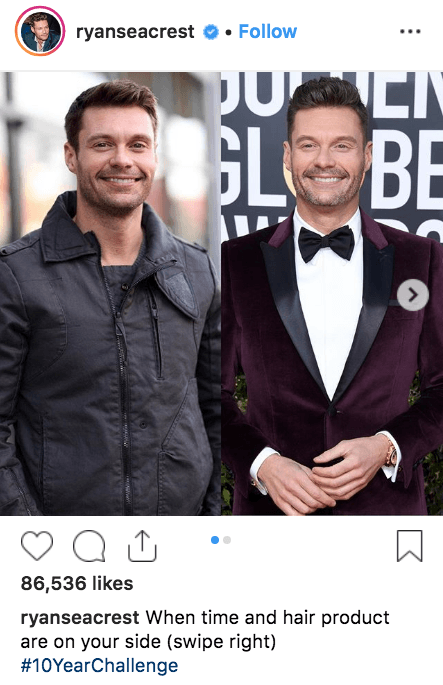 I’d argue Ryan is looking better with each new decade. 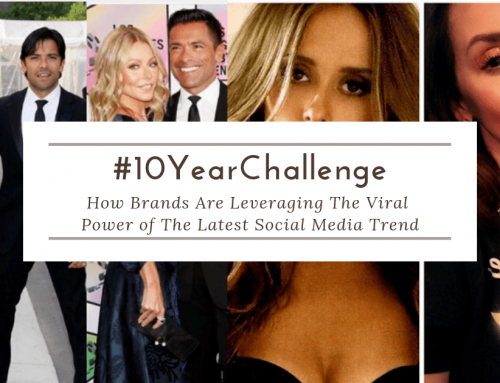 Final Words: Do you take part in these social media trends for your brand? Let me know in the comments below. 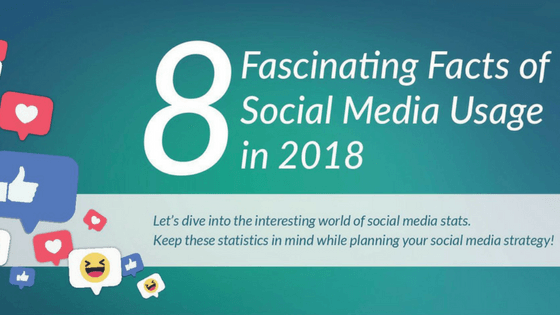 Need some ideas for Social Media posts that get engagement? 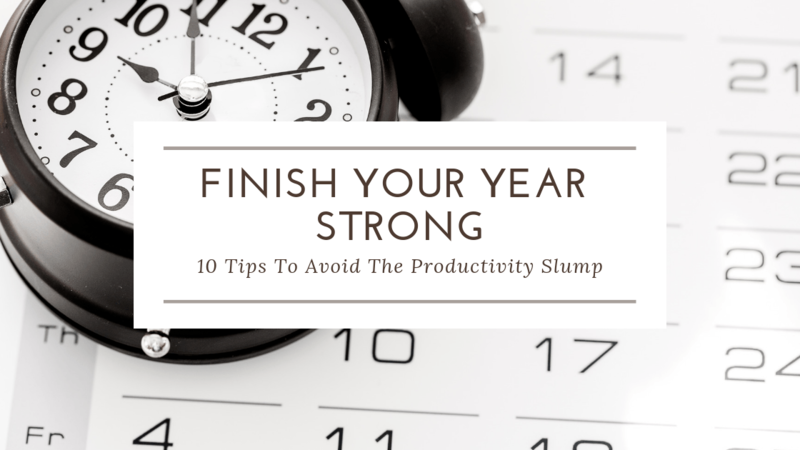 I’ve got 30 of them just for you… just click below for my FREE download.